I've tried their salads and got the 72-hour cleanse twice. I've even blogged about it before. An incident happened last year that caused me to break up with the brand. First, people close to me know that when something negative happens to me I don't automatically complain. It means A LOT has happened for me to voice it out on the blog. Second, I work in the service industry so my patience in that area is longer than most people. Third, I am a business owner. I know the challenges of being a one woman show while having a full time job. 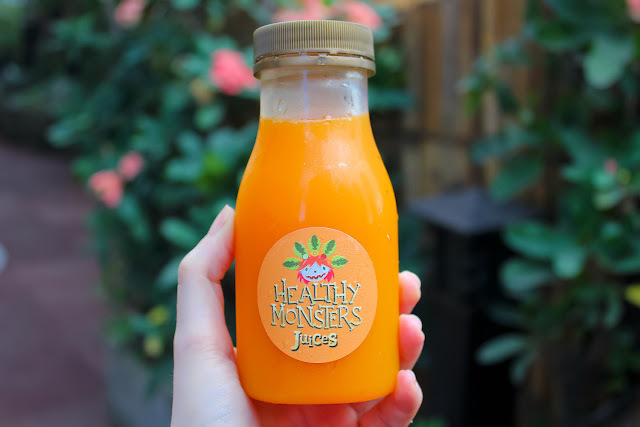 November 14: The cleanse was delayed because of bottle supplier problems. She apologized and I agreed to get the cleanse when the problem has been resolved. November 28: Issue was resolved and cleanse was supposed to arrive on this day. NO CLEANSE WAS DELIVERED. "Hi Nikki. I hope all is well. It’s been a long time and I haven’t heard from you. Would appreciate an update about my order or at the very least a refund." Notice my tone; I was not mad or confrontational. January 8, 2017: I FINALLY got feedback from Healthy Monsters PH. Me – Hi Nikki, it’s been 2 months and I see you are back to selling. This is getting upsetting. PLEASE send my order or refund my payment. Healthy Monsters (HM) - I messaged you on Viber. Please check. Been waiting for your account number and no reply. ME: That was just yesterday. What happened? Is the product not available anymore as well? HM: We only have master cleanse available. My acai supplier closed shop and my juicer broke and I need to get a new one. If you still want, you can replace your order with master cleanse or salad. But if you want a refund. Please send it here. So I can refund tomorrow. * Out of frustration I sent my contact details and account number. I did not ever get an apology or an explanation. January 13 – 17, 2017: No refund, I continued to follow up. January 18, 2017: FEEDBACK FINALLY. I was informed that she would ask her assistant to deposit the refund within the day. * So she wasn’t alone. She HAD an assistant that could help her. January 19, 2017 – Today: I continued to follow up through text, viber, would call her phone AND left messages on her IG account. NO REFUND. My IG comments were deleted. Almost 2 months after the promise of a refund and almost 4 months after my payment – NO CLEANSE AND NO REFUND. I waited this long because I was trying to be understanding. I know how taxing running a business is. I wanted to give Nikki Teves of Healthy Monsters PH ample time to make up for this but she never did. It's not about the money - it's about integrity and being a professional. She never apologized for the delay or for not updating me about my order. Up til January my tone was calm and non-confrontational. Ang bait ko na promise. I only got more aggressive last February and still, no word. I’ve given Healthy Monsters enough chances. I didn’t get a proper apology. So now I share my experience because this isn’t the way to treat people or to do business.